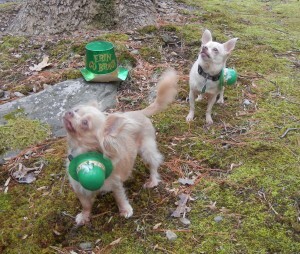 This entry was posted in Baby Steps - The Adventures of Junior and Mindy, Chunky Chihuahuas and tagged dogs, Pawgevity, St. Patrick's Day, St. Pawdy's Day. Bookmark the permalink. Post a comment or leave a trackback: Trackback URL.